Latish evening visit after track-bashing a rail route on a diverted Southeastern train from the old Waterloo International platforms, next stop Sevenoaks then to here. Surprisingly good range of Kentish brews, clearly a manager's penchant. Visit marred by unsuccessful 8 minutes wait to be served a second pint, bar staff milling but not serving, something the Duty Manager should have been aware of and sorted. Late afternoon and Chai time. Goodly, but noisy brats crowd in again. 3 Ruddles and 3 Gloombar at one end of the bar! Late afternoon and Tonbridge's finest are all here today. Average selection on. 1530 visit and busy all around. Temperance Union - Vfm Softy 1.00 Very warming on this very blowy day! 15:00 visit. Quite busy all over, especially the rear part. Selection of Ales looked OK too. Early afternoon visit to take advantage of a £5:40 meal and pint deal. If you ever wonder where all of Tonbridge’s retired folk hide away in the afternoon, I would suggest that the answer is that they are all in here. Rockin Robin - Mildly Rockin 3.70 A pretty decent mild. The mini bus dropped us at the station so it was just a short walk up the high street for a final drink or three. I have only listed those I had but there were also three Rockin Robin beers on. 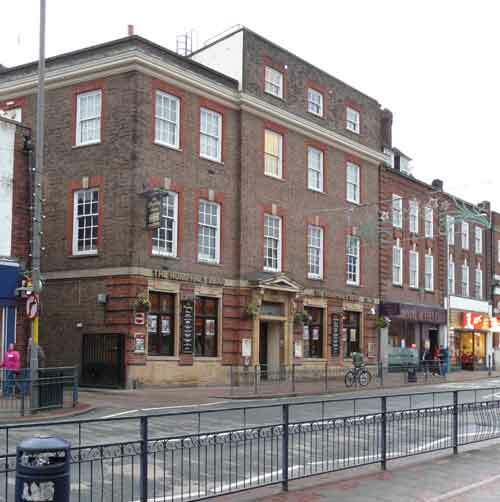 The pub is found in Tonbridge, Kent, TN9 1AP. Located in the High Street this vast barn-like Wetherspoon pub was a post office for most of the 20th century. 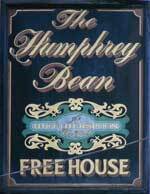 Before 1908, the 'We Three Loggerheads' pub stood on this site, with Humphrey Bean as its landlord. Banks of 6 handpumps adorn either end of the long bar counter to dispense the real ales here. We have visited this pub 143 times, seen 332 different beers and tried 201 of them.